Musical calculator and look-up tool for recording engineers and composers. Is there a better alternative to Quaver? Is Quaver really the best app in Music category? 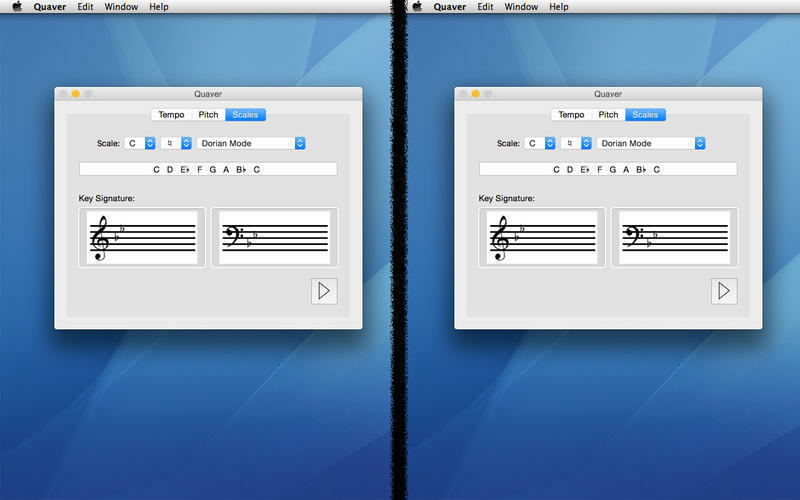 Will Quaver work good on macOS 10.13.4? 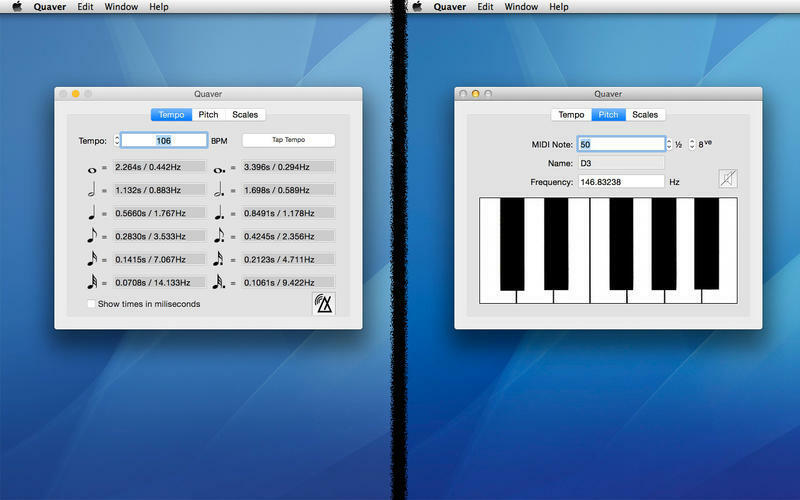 Quaver is a musical calculator and look-up tool for recording engineers and composers. It can calculate the delay times and oscillator frequencies that match a given tempo to help keep things in sync. Its pitch tool can tell you the fundamental frequency of any note in the MIDI range -- or perform the reverse calculation. Finally, the scale tool can tell you the notes that make up a given scale and draw the key signature. Quaver needs a review. Be the first to review this app and get the discussion started! Quaver needs a rating. Be the first to rate this app and get the discussion started!